[10/1/13] This HOME page hasn't been recently been changed, all the same, you might find some things of interest within. I especially welcome the West View HS - Class of 1956 to check the relevant folders. 'E' your pictures to me for inclusion. Stay tuned. Sincerely, jack --- PS There is a much neglected group on FaceBook listed as what you see in red above. Debbie Gravitte and Christiane Noll along with Michael Maguire are Broadway performers featured on the City of Fairfax Band's 40th Anniversary Gala Concert to benefit the Alzheimer’s Association. 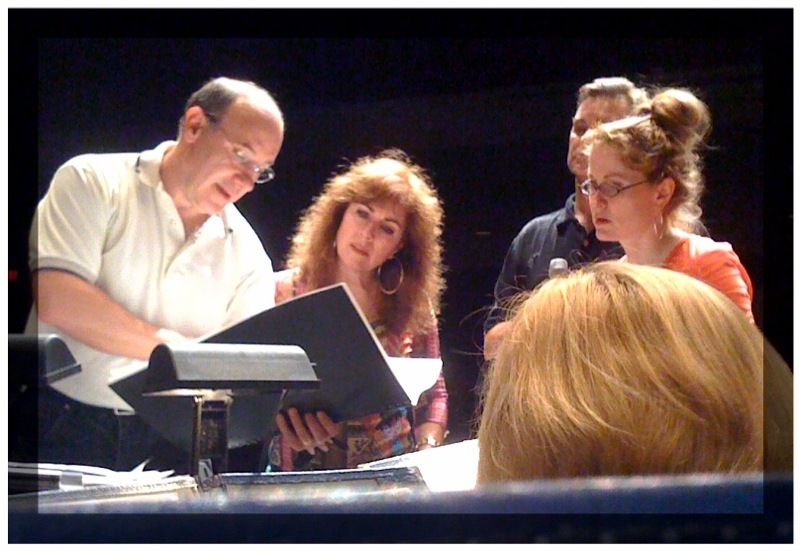 The concert was performed, 8:00pm, (6/5/10) in the George Mason University Center for the Arts. I think everyone was delighted at the *great time* feel of the evening. In playing the concert, I felt like a kid. Above, they were looking for two measures to be cut. ...and here we assume they found the correct two measures. 6/9/10 - The kids in California.